Fractions are used to indicate the number of parts of a whole to be considered. Suppose you go to Domino's pizza and you order a medium pizza. If your pizza has 8 slices and you did not eat the whole pizza, this means that you only ate parts of the whole pizza. Let's say you don't have a big appetite and eat only 2 out of those 8 slices. The following figure illustrate the situation. 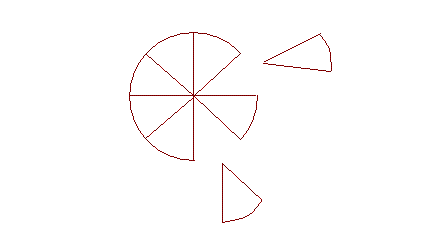 is the fraction that we use to represent eating 2 slices of pizza out of 8 slices. We call 2 the numerator and we call 8 the denominator. Notice that a forward slash (/) or a horizontal line be used to separate the numerator from the denominator. Common sense also tells us that if we eat 2 slices and there are 8 slices, well, we ate only one-fourth of the pizza. 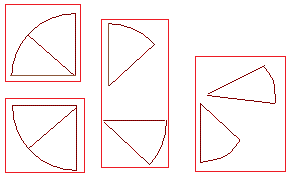 How can we rearrange the slices so you see the one-fourth? May be you know already! If you don't, try the following: Make 4 piles with your slices with each pile having 2 slices. Eating 2 slices out 8 is the same as eating 1 pile out of those 4 piles. Although they both have different numerators and denominators, they are both equal. Notice that to get from 1/4 to 2/8, all we need to do is to multiply both numerator and denominator by the same number that is 2. In the same way, to get from 1/2 to 5/10, we can multiply both numerator and denominator by 5. 2/8 and 5/10 are called higher terms. Be careful! It is not because 2/8 is bigger than 1/4 and 5/10 is bigger than 1/2. Going from higher terms to lower terms means that you are simplifying. To get the simplest form, divide the numerator and the denominator by the largest number that divides into both evenly. 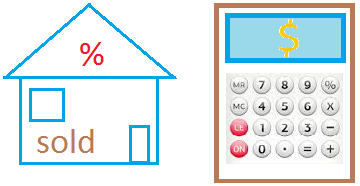 For instance, to bring 10/40 to its simplest from, divide both 10 and 40 by 10. You will get 1/4. You can use a fraction to show a ratio. In a ratio, the numerator shows the part of a group you are considering and the denominator show the rest of the group or the whole group. Suppose a class has 6 boys and 10 girls. What is the ratio of boys to girls. In this example, the numerator is the number of boys and the denominator is the rest of the group or the number of girls. A fraction can also mean division. For example, 4/5 means 4 ÷ 5. You can use this meaning of fractions to write the fraction as a decimal. Benchmark fractions are fractions that are used a lot in basic math and they are also helpful in picturing other fractions. 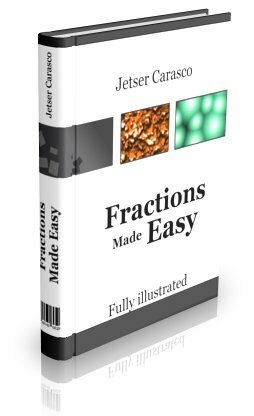 Quickly compare and order fractions. For example, 2/3 is bigger than 1/4. Round fractions and mixed numbers. For example, 3/4 rounds up to 1 since it is closer to 1 than to 0. How well do you understand this lesson? Take this quiz about fractions!